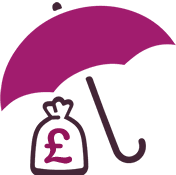 A final salary scheme is a type of defined benefit pension scheme offered by employers. The benefits you receive at retirement are based on your earnings and length of membership in the scheme. Benefits at retirement may be provided as pure income or as a tax-free cash lump sum and income. Pension benefits may also be available to dependants in the event of your death or they may be paid early if you fall ill before reaching retirement. Unlike other pension arrangements, the amount you will get at retirement is guaranteed and benefits may increase each year to offset the effects of inflation. Your pension scheme's 'accrual rate' - this is a formula that's used to calculate your final retirement income. The 'accrual rate' is a fraction of your salary (usually 1/60 or 1/80), and it’s multiplied by the number of years you’ve been in the scheme. At Rees Astley we have an authorised pensions specialist who has undergone the advanced pension qualifications and been given permission by the Financial Conduct Authority to advise on final salary pension schemes. How much will your scheme benefits will be worth to you in retirement? Whether you will have a need for a tax-free lump sum? How and when you would like to draw your pension benefits? What the spouse’s and dependants’ benefits are? Whether you expect to be in good health when you retire? In many cases you are likely to be worse off if you transfer out of a final salary pension scheme due to the valuable built in guarantees. However, if you do want to transfer to a bespoke personal pension arrangement more suitable to your personal circumstances we can help advise you on this.